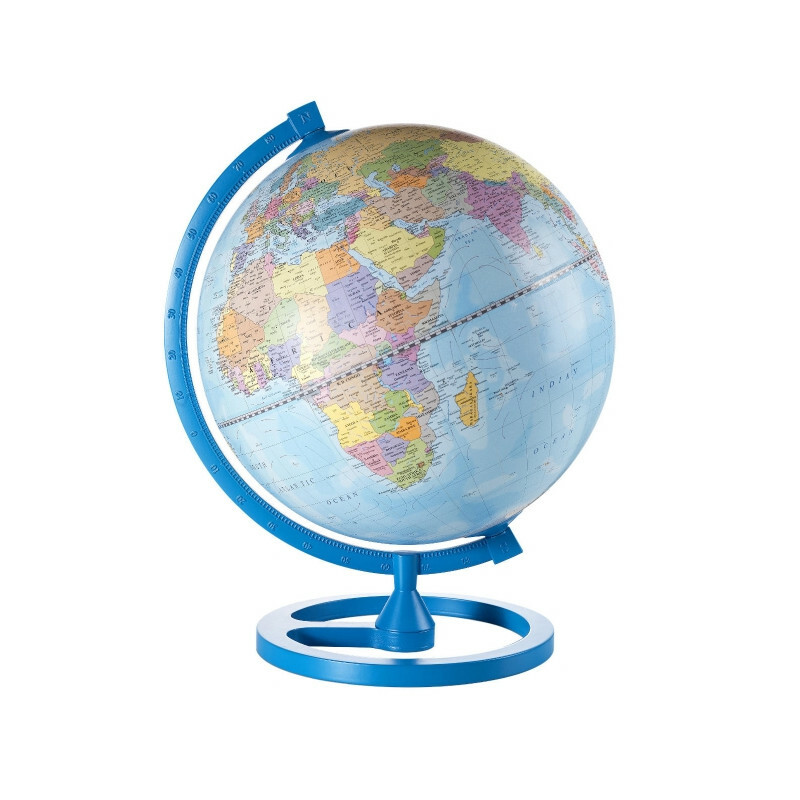 The salient features of the "Colour Circle" globes are essential lines and areas of color, young and clean design. These details are with the updated map well worked out. 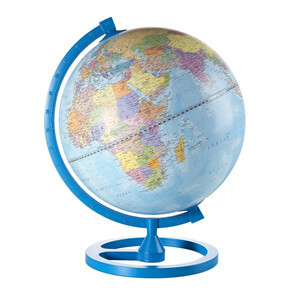 The wooden base and the meridian of aluminum, which are hand-painted in bright colors, are the hallmarks of this didactic Desktop Globe. A product that completely the label "" Made in Italy "" earned and from the first moment a cheeky and fun way of life conveys.